In this episode we look in depth at two shades of robot coordination, multi-robot area coverage and self-assembling robots. Our first guest, Nikolaus Correll, is a postdoc at MIT in the US. He presents his past research on swarms of minuscule robots to inspect reactor turbines and his latest research on cooperating networks. Our second guest, Rodrich Gross, will be speaking about his slightly larger swarming robots, or swarm-bots, which are able to join forces to achieve tasks which require strength or large size, by creating a multi-robot organism. 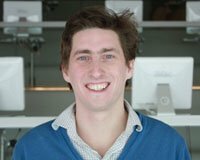 Nikolaus Correll is a post-doctoral associate at the Distributed Robotics Lab, MIT CSAIL, where he works with Daniela Rus on a wide variety of multi-robot systems. His latest work includes distributed robotic gardens and mobile wireless ad-hoc networks. Besides creating multi-robot systems, Correll has been looking to monitor and control groups of animals such as cow herds and cockroaches in nature. In this episode, we’ll be looking in depth at the conclusions of his PhD thesis at the EPFL under the supervision of Alcherio Martinoli on how a group of tiny sugar-cube size robots could be used to inspect a jet turbine engine (see video below). Correll will present the trade-offs between having purely reactive robot controllers or robots that plan and how collaboration between the robots affects the performance of the system. 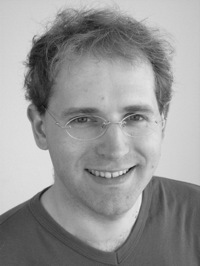 Roderich Gross is currently a postdoc at the EPFL. His research interests span computational biology, robotics, and swarm intelligence. His current work, continuing from previous work at the Free Brussels University, focuses on self-assembling robots such as the Swarm-Bots which can attach to each other to form larger robotic systems. This can allow them for example to cross a large gap, go over hills or carry heavy objects in a manner similar to ants (see video below). In this interview Gross describes his research and talks about cooperation, self-assembly and division of labor in robot teams and the potential emergence of artificial life. For more information on this week’s news, including Festo’s Robot Penguins, robot theater actors and the interactive disc jockey robot visit the Robots Forum.